Strathmore Business School (SBS) has announced plans to invest more in impactful and relevant health, agribusiness and public sectors programs in the next decade. According to the institution, there is a growing need from students and individuals who are taking up more and more of health, agribusiness and public sector programs. So far, the institution has trained over 180 healthcare professionals across 15 counties in over 50 different institutions that include hospitals and regulatory boards. 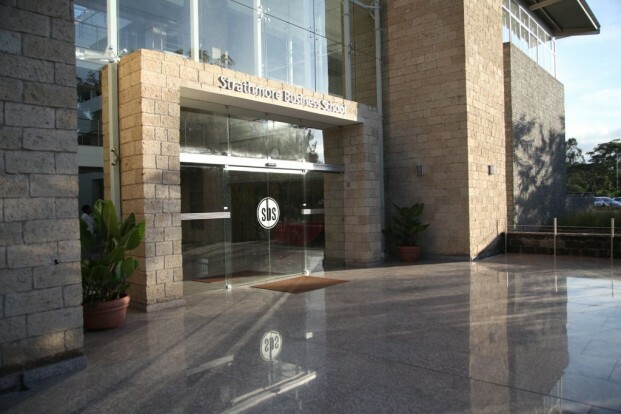 Established in 2005, SBS has achieved key milestones that have continued to see its students transform through coaching on governance, leadership in the health, agribusiness and public sector areas. Speaking at the School’s celebration of its 10 years anniversary, SBS dean, Dr. George Njenga noted business program offerings are evolving over the years. “This is a significant milestone not only for the institution but also for business schools in Kenya and Africa. Through the decade, we have seen an uptake of agribusiness, public sector and health programs amongst Kenyans. This means that more and more Kenyans want to learn entrepreneurial skills to grow their businesses. “ The key factor to take our country to the next level is through offering executive programs that are target specific. As an institution, our commitment is to coach more and more people in these sectors so that we transform our country,”he said. Over the years, Strathmore Business School has coached opinion shapers including Emeritus Chief Executive Officer; Kenya Commercial Bank, Martin Oduor, James Mwangi, CEO Equity Bank and Governor of Turkana, Josphat Nanok. Others include, Governor of Wajir, Ahmed Abdulahi and Chief Government Pathologist Johannsen Oduor among many other executive leaders. The institution offers various business executives programs that target individuals who have just stepped into employment scaling to chair company boards including – New Managers Leadership program, Program for Management Development, Senior Management Leadership Program, Advanced Management Program, the Effective Director Program and Leading the Board Program. This comes at a time when the institution has launched a Doctorate Scheme aimed at enhancing access to graduates who have an interest to pursue a doctoral degree with SBS Partner Schools. These schools include IESE Business School, Barcelona(Spain), Sauder School of Business, Vancouver (Canada), St. Gallen Business School, St. Gallen Switzerland and Nanyang Business School, Singapore.